North Carolina is home to some of the best music festivals in the country! Here’s a list of long-standing festivals for the music-enthusiasts and travelers looking for quality music experiences. The festivals listed are supported by the North Carolina Arts Council through our grant program, are featured on our cultural trail, Blue Ridge Music Trails of North Carolina or components of the festival are being sponsored by Come Hear NC. This is an evolving list that the Come Hear North Carolina team will continue to update throughout 2019. Look for our logo next to sponsored events! 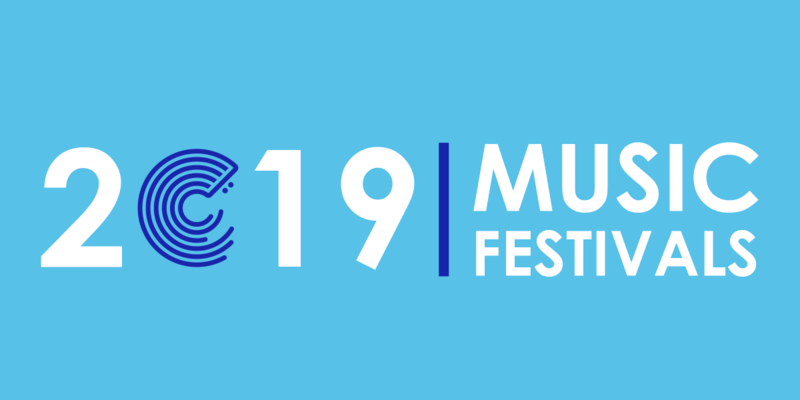 April 5 to April 7, Asheville, N.C.
Music (song), film (screen), and storytelling (page) comprise Connect Beyond Festival, explores how collaboration and adaptation create a narrative that can influence social change. Using Asheville as a creative hub, panels, performances, and screenings will take place in unique settings around the city. The event brings together youthful ideology and well-worn experience to create a diverse demographic of men and women who are pioneers in their field. 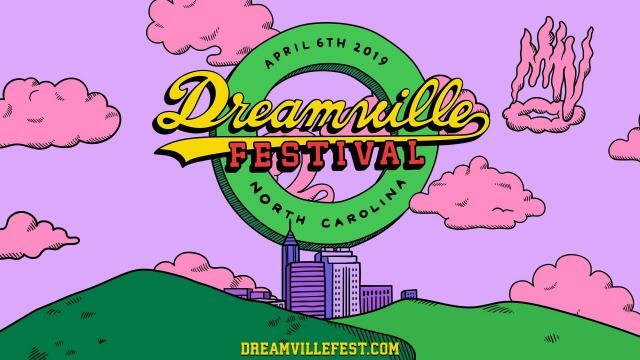 Saturday, April 6, Raleigh, N.C.
Hip-hop superstar J. Cole’s inaugural music festival Dreamville will activate Raleigh’s Dorothea Dix Park in an unprecedented way. Rescheduled from last fall due to Hurricane Florence, the dynamic lineup features some of hip-hop and R&B’s biggest stars, including of course, Fayetteville, N.C. native J. Cole. A portion of proceeds will benefit the Dorothea Dix Park Conservancy and Cole's Dreamville Foundation. Friday, April 5 to Saturday, April 6, Dobson, N.C. The Surry Old Time Fiddlers Convention is an annual event that includes two days of activities celebrating Surry County's rich heritage of Old Time Music. Held at Surry Community College, festivities begin Friday night with the popular square dance and cakewalk. Saturday features youth competitions in guitar, folk song, banjo, fiddle and dance, as well as a category for bands and adult competitions. April 12 to April 14, Ashe Civic Center, West Jefferson, N.C.
Record Store Day was conceived in 2007 at a gathering of independent record store owners and employees as a way to celebrate and spread the word about the unique culture surrounding nearly 1400 independently owned record stores in the U.S. and thousands of similar stores internationally. There are over 50 independently owned record stores in N.C. so on April 13 support a local business and get a special release or an old favorite at your neighborhood record store. Find a participating store using Record Store Day's interactive map! Since 1988 this annual spring jazz festival has featured outstanding jazz performances including instrumental and vocal jazz combo concerts. Check the website for perfomers, times and locations. Thursday, April 25 to Sunday, April 28, Wilkesboro, N.C. Founded in 1988 in memory of Eddy Merle Watson, son of Doc Watson, MerleFest is considered a premier Americana music festival. This year the North Carolina Department of Natural & Cultural Resources will sponsor the Creekside Stage. Held on the campus of Wilkes Community College, the event serves as an annual homecoming for musicians and music fans. Every year, MerleFest curates a lineup of ‘traditional plus’ music, a unique mix of the traditional sounds of the Appalachian bluegrass and old-time music and country, blues, rock and Americana. Thursday, April 25 to Sunday, April 28, Durham, N.C.
Now in its 15th year, Moogfest is a celebration for conversation and experimentation, attracting creative and tech enthusiasts for four days of participatory programming. 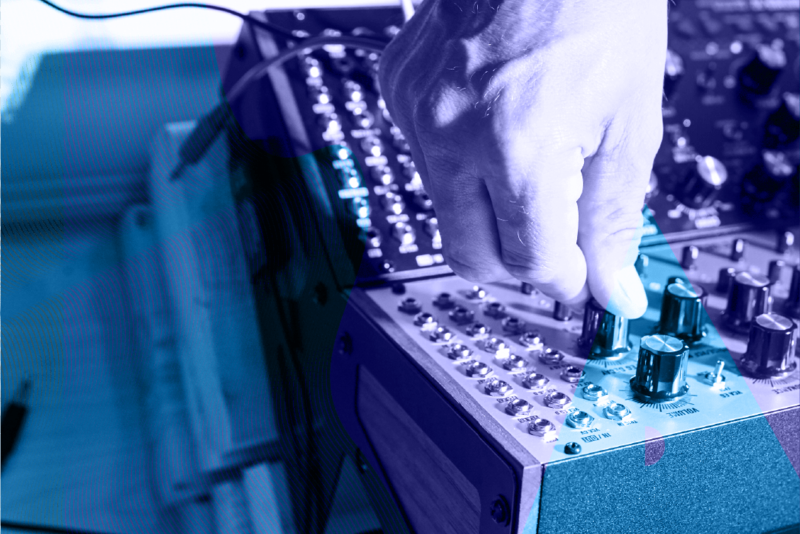 Moogfest presents cutting-edge performances by early pioneers in electronic music, contemporary pop innovators, and avant-garde experimentalists in venues throughout the city. The festival pays tribute to analog synthesizer pioneer Dr. Robert Moog and the profound influence his inventions have had on how we hear the world over the last 60 years. Moog Music is based in Asheville N.C.
Friday, April 26 to Sunday, April 28, Charlotte, N.C. The BOOM festival is Charlotte’s annual showcase of contemporary and experimental art created on the fringes of popular culture. 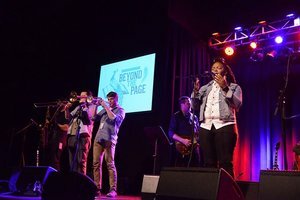 A unique coalition of artists, volunteers, nonprofits, local businesses and neighborhood organizations gather to transform the way art is made and shared in Charlotte, and throughout the weekend music and performance artists bring to life the Intersection, the festival main stage. Shakori Hills GrassRoots Festival of Music & Dance is a biannual family-friendly event in Pittsboro, NC the first weekends of May and October. Known as a music lovers’ paradise, the festival is celebrating 17 years this spring with Lukas Nelson and the Promise of the Real as headliners. Both established and up-and-coming acts will perform on 4 stages over 4 days on 72 rolling acres in rural Chatham County. Summer concerts and movies have been an NCMA tradition for two decades, and we’re excited to launch another season of great music and entertainment. Our venue—the Joseph M. Bryan, Jr., Theater in the Museum Park—is situated in the heart of the Museum campus amid gardens, meadows, woodlands, and sculpture. Kicking off on Friday, May 17, the series will run through September. Picnics are welcome at summer events, with some restrictions. The Museum’s Iris restaurant also provides food and beverage options, including beer and wine, for purchase. Parking is free. Saturday, May 18, Atlantic Beach, N.C.
You don’t want to miss the 6th Annual Atlantic Beach Music Festival at the boardwalk at the Circle, Atlantic Blvd, Atlantic Beach, NC. Featuring: The Embers, Jim Quick and Coastline, Mighty Saints of Soul, Blackwater Rhythm & Blues, and Steve Owens & Summertime Band. Admission is free, but pets and glass containers are prohibited. What started as a rockin’ good time has become a Durham tradition, filled with music, food, and outstanding craft beer! Entering it's 5th year the Durham Blues & Brews Festival isn’t a Beer Fest with music, or a Blues Fest with beer. It’s a new type of event, designed to be a unique experience, by offering great Blues music and only North Carolina Craft Beers. Proceeds from the festival benefit local Durham charities and programs, including the Exchange Family Center, a Durham-based non-profit agency dedicated to preventing child abuse. Saturday, May 18 to Sunday, May 19, Greensboro, N.C. The longest-running blues festival in the Southeastern United States returns Saturday, May 18 and Sunday, May 19, 2019 to Greensboro’s newest venue, LeBauer Park. The Carolina Blues Festival will have international, national, regional, and local blues acts on the docket for a weekend of blues, rain or shine! The festival is partnering again this year with Second Harvest Food Bank to shed light on Hunger in our Communities. Music Maker Relief Foundation partners with the Carrboro Recreation & Parks Department and WUNC to present the Freight Train Blues Music Series at Carrboro Town Commons (Farmer’s Market). Beginning on May 24th, the four-part series will feature performances from blues, gospel, and folk musicians on Fridays at 6:30pm and is free to the public. Here is your chance to dance barefoot on the sand or just sway to the Beach Music Beat while standing in the surf. Held the first Saturday in June, the Beach Music Festival hosted by the Pleasure Island Chamber of Commerce is billed as "the biggest and only beach music festival actually held on the beach on the North Carolina coast" and one of the longest running beach music festivals in the United States. Come out and enjoy a full day of live entertainment with the hottest beach music bands in the south! Led by Artistic Director Keith Lockhart, the 2019 BMC summer music festival provides audiences with an exceptional array of performances by gifted young musicians and some of the most celebrated names in music — from classical superstars to pops, classical guitar and jazz legends, to acclaimed R&B and bluegrass artists — at our lakeside home in the beautiful Blue Ridge Mountains of North Carolina. 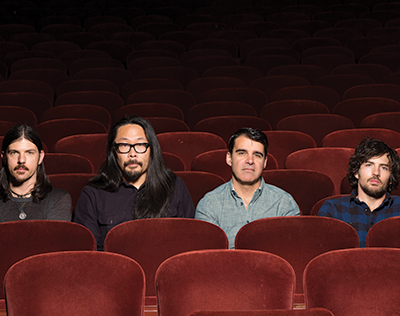 This concert series runs from June to August. View the official calendar here. Welcome to the Ocrafolk Festival 2019, June 7-9! This celebration features musicians, storytellers, artisans, and characters of Ocracoke Island and beyond who come together for one incredible weekend of performances and fun! Now in its 20th year, Ocrafolk Festival is recognized throughout our region as an extraordinary event in a one-of-a kind setting. Our fans and audiences have been an integral part of our story, along with countless volunteers, performers, and supporters that we call family. In 2019, your Ocrafolk Festival admission ticket doesn’t just assist Ocracoke Alive in creating a weekend packed with incredible performances. It also supports hundreds of hours of student and community programming that would vanish without your funding. Each year since 1980 the Eno River Association has presented the Festival for the Eno to draw thousands of folks to the shaded banks on the Eno River to sing dance and make merry with great food and crafts all while learning about natural resource conservation and raising funds for land protection in the Eno River basin. The Festival the Eno has it's beginnings in the NC Folklife Festival held at Durham's newly created West Point Park in 1976 as the state's official bicentennial celebration and featured traditional crafts, music, dance and trades demonstrations. The Festival's for the Eno is still dedicated to the preservation and presentation of our rich and varied cultures and still offers plenty of hands on learning opportunities. Attendees can "throw" a pot on a clay wheel, watch a water powered grist mill grinding corn, or participate in urban farming, kayaking, weaving, and clean energy demonstrations, or participate in an old time or ukulele "jam" at the High Strung workshop stage. For more information, email festival@enoriver.org or call 919-620-9099 ext 203. July 5 to 7, North Topsail Beach, N.C. In 2009 the Ocean City Beach Council conceived the idea of a summertime family celebration to commemorate the 60th anniversary of the Ocean City community. This year marks the 10th anniversary of this festival promoting and preserving the history and expanding the knowledge of Ocean City by celebrating jazz legends and up-and-coming greats. 2019 is the 53rd Season of Shindig On the Green! Bring your instruments, families, friends, lawn chairs and blankets and join us for good times at the Bascom Lamar Lunsford Stage. Locals and visitors alike come together downtown “along about sundown,” or at 7:00pm for those who wear a watch, until 10:00p.m. Concessions are available. Come experience the beautiful music and dance traditions of Southern Appalachia on a summer evening in the mountains. Kicking off on Saturday July 6th, check the official website for the full summer schedule. August 1 to 3, 2019, Asheville, N.C. The Mountain Dance and Folk Festival was founded by Bascom Lamar Lunsford as a means for people to share and understand the beauty and dignity of the Southern Appalachian music and dance traditions that have been handed down through generations in western North Carolina. He saw the Mountain Dance and Folk Festival grow to be the oldest gathering of its kind in the nation and it continues in this way, a platform for the talented of the high country lying between the Great Smoky and the Blue Ridge Mountains. August 30, 31, and September 1 2019, Lenoir, N.C.
For 15 years Happy Valley Fiddlers Convention has been managed by a group of volunteers who are committed to the preservation and promotion of traditional music. The mission of the convention is to preserve and promote the cultural heritage and resources of Happy/Yadkin Valley through an annual music festival that highlights traditional old-time and bluegrass music and rural traditions, doing so in a way that provides wholesome family activities and protects our farmland and community values while promoting trust between the community and the event. August 31 and September 1 2019, High Point, N.C. Entering its ninth year, the John Coltrane International Jazz and Blues Festival, brought to you by the Friends of John Coltrane returns to High Point on August 31. Since its inception, the John Coltrane International Jazz and Blues Festival has succeeded in bringing the very top names in jazz, paid homage to the blues, celebrated the life and musical legacy of the jazz genres greatest artists. The festival attracts a growing audience and enjoys burgeoning reputation as the destination for Labor Day weekend. The North Carolina Folk Festival is a free outdoor celebration of our state's cultural roots and heritage. The festival will feature performances and demonstrations by musicians, dancers, and craftspeople. North Carolina's statewide arts journal, Classical Voice of North Carolina (CVNC) offers reviews, event listings, and news for classical music lovers across the state.